This is a brilliant idea indeed. 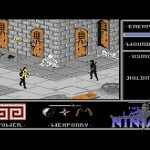 I’d buy a remake of this game in a heartbeat. 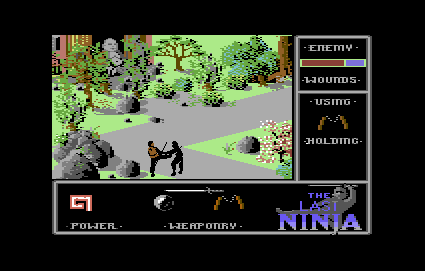 I still have the C64 datasettes of Last Ninja 1 and 2 due to their sentimental value. Armakuni to return in HD………….How can one not smile at the thought?! 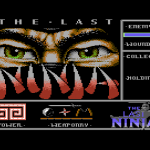 Vogliamo una rivisitazione del mitico THE LAST NINJA per PC in DVD ROM e vogliamo che la colonna sonora sia creata dal Grande Ben Daglish!!!!!!!!!!!!!!!!!!!!!!! 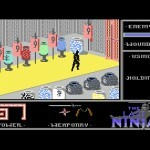 I’d love to see The last ninja brought back. 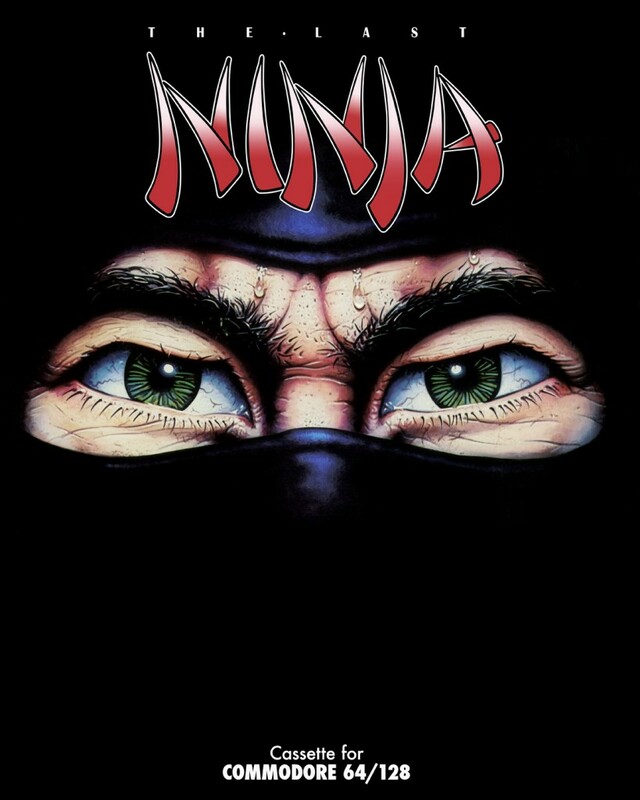 Please make a Last Ninja remake for IOS and/or Android! Regarding a kickstarter game- absolutely agree 100%. The Matt Gray music KS was a massive, probably unanticipated, success. 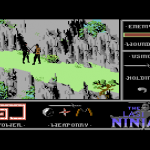 Game needs to be retro in music and graphics, but play like a modern game in the vein of Tomb Raider or Uncharted. 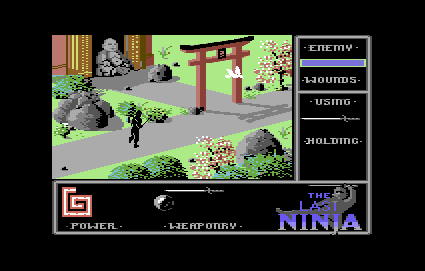 Matt Grays kickstarter did quite well, seems like the time is right to kickstart a true Last Ninja 4, and i’m hoping that is the reason for letting Matt use the artwork, to see if there is a demand for it. 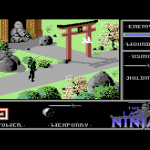 I would gladly buy the collectors set of a crowdfunded Last Ninja 4, I still have two LN2LE’s and would buy a LN4LE for £120 if thats what it takes. Listen to your fans and let us take the financial burden off of you via kickstarter. 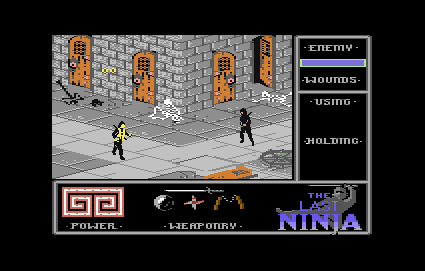 Please consider kickstarting a new Last Ninja game for PS4! It would be nice to play LN remakes or sequel, but somehow I doubt it. 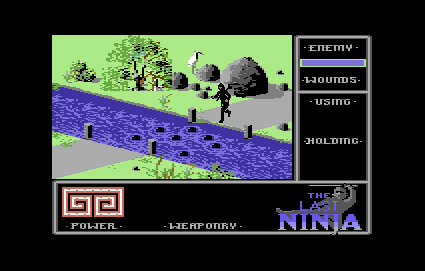 The last ninja was TOP game on C64 for me at those days. 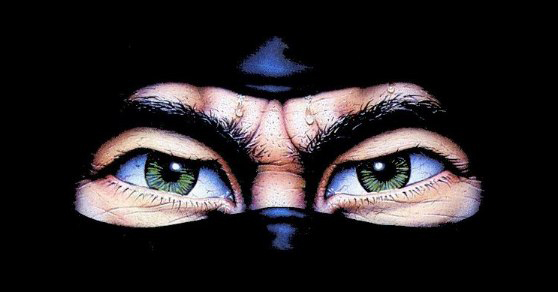 everybody wants a new last ninja game. also everybody knows how to do it as well. keep it same view as the old version. but in 1080p, 60 frames a second. and use high res sprites. but please dont come up with the solution we had in the recently released ducktales game. if you do it then do it good. also how much money is needed to get this of the ground? you could add developer diaries etc. also media exposure to this game will be huge. also Ben daglish, reyn ouwehand could do the music again. which i think they would love too. you can add eastern eggs in the game and godknows why. so again what is the hold up? Please consider a fourth addition. . . 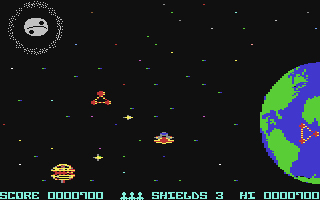 I would seriously buy a c64/128 just to play it. Come on guys. Back together. You were innovative then why not be the ultimate retro now…. 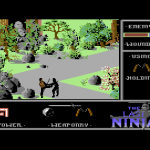 LN was a C64 milestone & masterpiece, and your website here (over a quarter century after the game release!) proves this to be obviously true. LN4 was planned and already cartographed – you´v e got an ace up one´s sleeve – so why not do it now? Crowdfunding would take any financial risk load off. 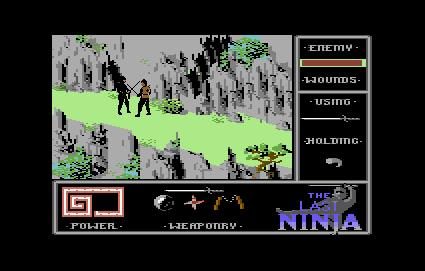 I would spend up to $64 for a C64 finished LN4, done by the original developers if possible. Still any doubts? 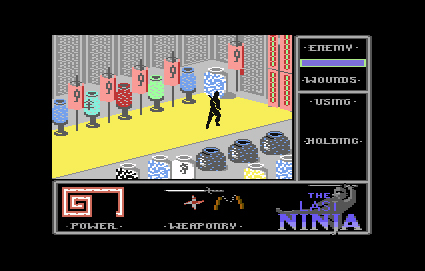 Any The Last Ninja 4 news??? Please make a HD remake on PS3! Please release a ps vita version! my dream is to see a new 3d isometric game (and why not include the three opus in an HD remake) with gorgeous 2D gfx, awesome music and enhanced gameplay. I would pay for this one ! Whilst in Target in Australia a few years ago I saw a children’s t-shirt for sale. 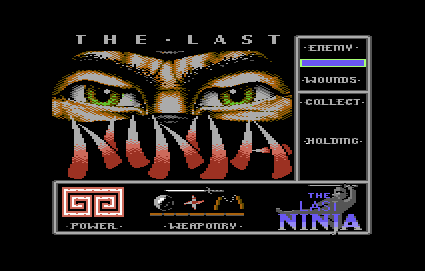 It had the the Last Ninja eyes artwork on it. 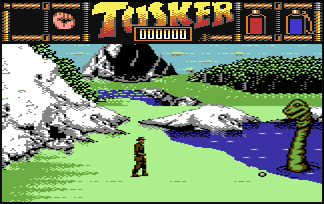 Probably didn’t have the licence for the artwork but shows the influence of the game. I wish I bought one, despite being for an eight year old, or at least took a photo! The game and the music was so fantastic. Would be so great to play that again. 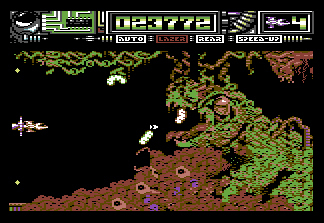 Be so great to see something new on this awesome iconic trilogy of retro gaming. If it ever does happen… please get Ben or Reyn involved with the music. Best of luck. If you do it then please keep it simple, no slow motion effects, no over the top explosions and no 100 enemies on screen at once. Get a kickstarter going you fools. Hmmm I just noticed….The background pic looks suspiciously like concept art to me ? 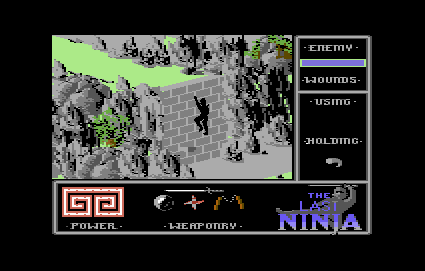 If Last Ninja IV is planned Please ..Please consider it for PC as well as Consoles etc..
Ok time to make this game again….It could be made in the isometric style of ” Tomb Raider Guardian of Light ” which was brilliant isometric 3D as well and reminded me very much of Last Ninja whilst I was playing. A Kickstarter could easily fund this project and I don’t know what you guys are waiting for ? 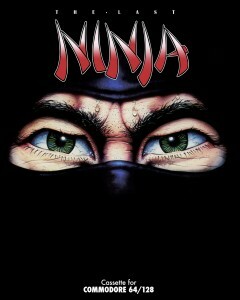 I remember being addicted to this game when I was in my early teens. It’s great to find System 3 are still around. You were my favourite games developer. 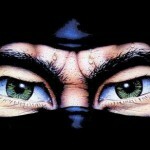 System3 dear, I can not wait to release ninja4 are very impatient, and do a good job! If I can recall rightly, the music was by a guy called Anthony Lees. And he lived down the road from me. 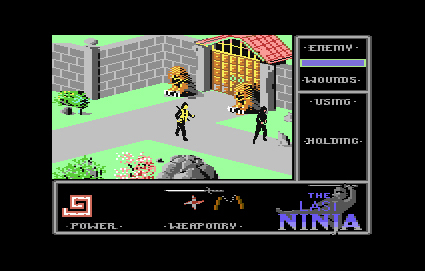 Give us Last Ninja 4, bring back Armakuni!